United Nation, Jan 28: On Sunday, 27 January, the world remembered each and every Jew who was a victim of the Holocaust in WWII on International Holocaust Remembrance Day. The Holocaust, biggest and darkest phase of modern history, which have a deep scar in many minds still today. 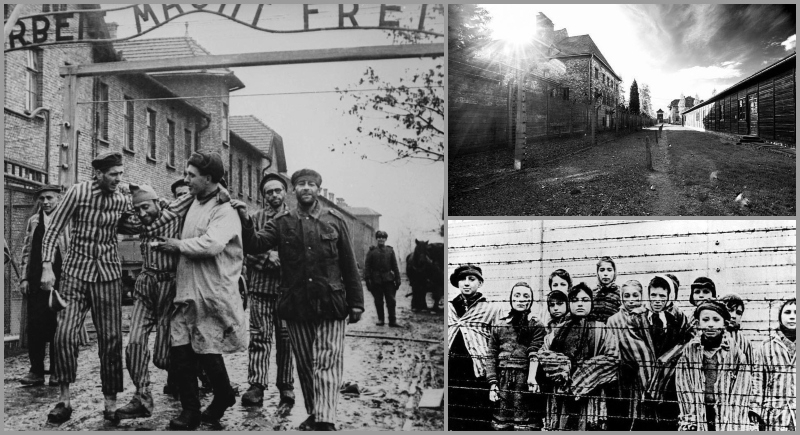 On 27 January, 74 years ago, the devastating calculated cruelty stopped with the liberation of Auschwitz concentration camp. 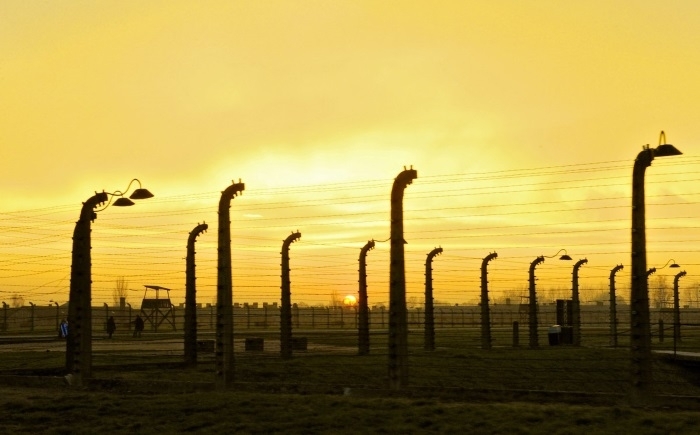 Every year around 27 January, UNESCO pays tribute to the memory of the victims of the Holocaust and reaffirms its unwavering commitment to counter antisemitism, racism, and other forms of intolerance that may lead to group-targeted violence. It was officially proclaimed, in November 2005, International Day of Commemoration in Memory of the Victims of the Holocaust by the United Nations General Assembly. Seen above are Soviet soldiers of the 100th Infantry Division from the 1st Ukrain Front escorting surviving prisoners of the Auschwitz concentration out after it's liberation, 27 January 1945. The picture was taken by Boris Ignatovich. - Советские солдаты 100-й стрелковой дивизии с 1-го Украинского фронта, сопровождают выживших пленных из Концлагеря Освенцима после его освобождения, 27 января 1945-года. Фотограф Борис Игнатович. ——— Follow my other page; @critical.war! The Holocaust was the attempt by Nazi Germany and its collaborators to murder the Jews of Europe. During the six years of World War II, systematic, bureaucratic, state-sponsored and government-organized persecution and oppression resulted in the deaths of six million European Jews from across the continent. The persecution of Jews in Germany began in 1933, almost immediately after the Nazis came to power. The systematic mass-killing of Jews, however, occurred during World War II: first in processes of ghettoization and mass shootings in Central and Eastern Europe, and then, between 1941 and 1945, deportations to killing centers like Auschwitz, Treblinka, and Belzec. He stated this year’s observance falls amid an alarming increase in anti-semitism. This centuries-old hatred is not only still strong- it is getting worse.” He urged, Now more than ever, let us unite, in the fight for universal values and build a world of equality for all. “The Holocaust was the product of an ideology of biological racism, of which a central element was hatred of Jews. Three generations on, preserving the memory of the Holocaust means continuing the struggle against anti-Semitism, whose proponents persistently sully the memory of the dead in order to attack Jews today. The preservation of this memory requires support for historical research. It also requires education about the history of the Holocaust and other genocides and mass crimes. Together with educational leaders around the world, UNESCO carries out this work on a daily basis through educational research and training and through the UNESCO university chairs, as part of the Organization’s global citizenship education programmes." said Audrey Azoulay, Director-General of UNESCO, on the occasion of International Day of Commemoration in Memory of the Victims of the Holocaust. To honor this occasion, UNESCO and World Jewish Congress have created an exhaustive educational website AboutHolocaust.com to counter its denial and spread the true facts, testimonies and stories about this darkest page of history. On 27, January, UNESCO hosted a global screening event of the film “Who Will Write Our History.